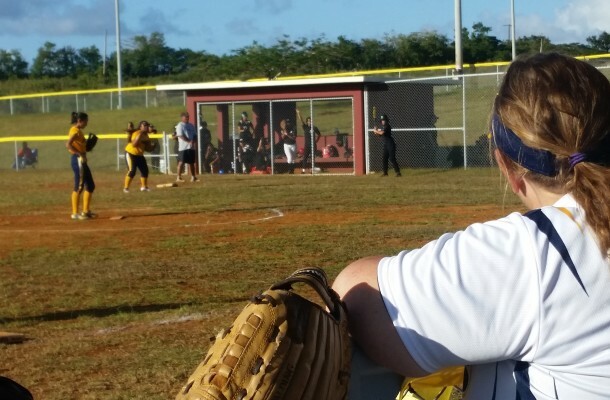 Of three IIAAG softball games Wednesday afternoon only one game was actually played. The game between Okkodo and Southern at Okkodo had been cancelled and the Guam High vs. Sanchez game at the Tiyan field was called off due to a missing official. “The assigned official just didn’t show up. This was the first time in 5 years that this has ever happened,” said GABA’s Justin Bennett. “The game will be rescheduled. It’s unfortunate that this has happened, but we will meet with both teams to find out when this game can be replayed,” said IIAAG president Martin Boudreau. The official that did show up to the game, Molton Palik, immediately thought of the kids involved. “We do this for the kids. It’s really unfortunate, but we’re going to get this problem solved so it won’t be happening again,” said Palik. Both teams waited out the 30 minute grace period before officially calling off the game. The 4 pm start is 30 minutes earlier than usual IIAAG softball start time to try and make use of more daylight. But the earlier start isn’t seen as an issue from the umpires. “There is no problem with moving up the time. This issue might have been a miscommunication issue, but there is no issue with the time,” assured Palik. The two teams engaged in a three-inning scrimmage to compensate for the rescheduled game. The only game that did get played Wednesday afternoon was between the visiting Tiyan Titans and defending champion JFK Islanders. It was the season debut for JFK after having their Saturday season opener postponed. JFK got the win over the visiting Titans 15-3 in their debut.